Before living in Japan, cabbage was just a green vegetable I walked past in the grocery store, something only good for sauerkraut or stuffed cabbage. However, I’ve since discovered it’s an extremely versatile veggie. Not only is it healthy, but it goes with everything. There are also countless ways to prepare it, so I always have some in the fridge. 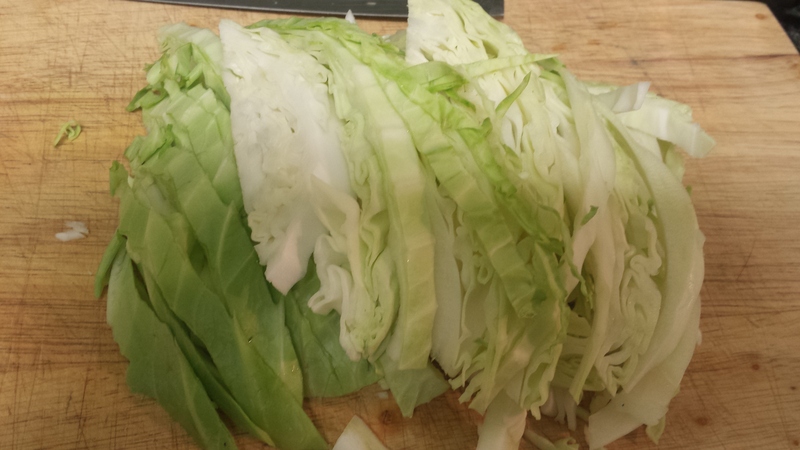 Since cabbage salad is such an easy dish, I’m going to teach you to make three different types for a little variation. Here is everything you will need to make all three types, so make sure to read my entire post before gathering ingredients. 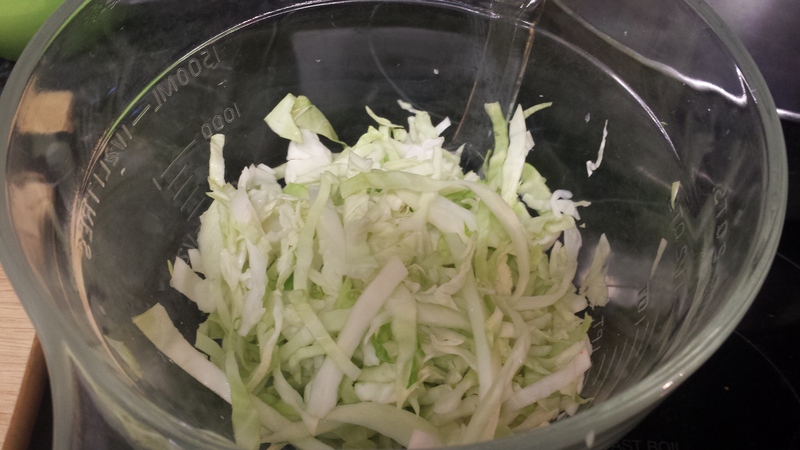 The first step for all three salads is to cut the cabbage into thin strips and sprinkle it with the salt. Mix well and let it sit for at least 10 minutes. It starts to soften/wilt as it sits in the salt. For a tart salad, just add the rice vinegar, mix well. This is like a vinaigrette on your cabbage and is great with all kinds of dishes and for dinner parties. 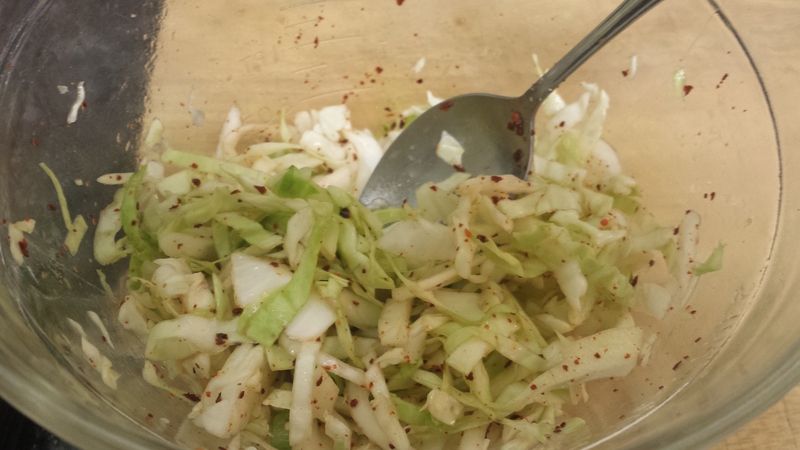 For a spicy salad, add the rice vinegar and red pepper, mix well. The image below is the spicy version, yum. It’s like Kimchi, without the fermentation. For a savory salad, add the rice vinegar and sesame oil, mix well. The sesame oil takes the bite out of the vinegar and adds a touch of savory nuttiness to the dish.